Advanced Projects in Woodwork is a collection of projects designed to meet the needs of classes in high school woodworking. 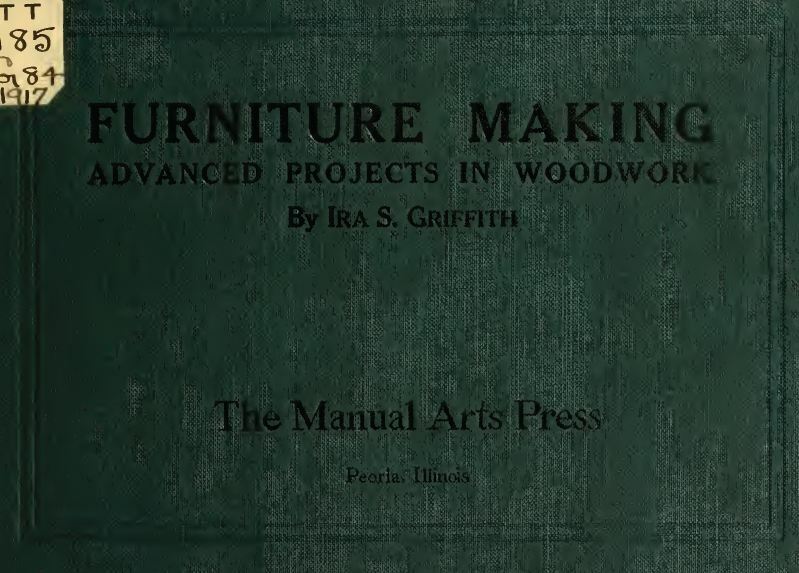 These projects presuppose familiarity with woodworking processes, tools, and the two simple joints required in the making of projects contained in the author's Projects in Beginning Woodwork and Mechanical Drawing. The drawings are complete only as to their general dimensions. The working out of details, such as the sizes of mortises and tenons and their locations, is left for the pupil in his work in drawing and design. It is expected that the projects will afford suitable basic material for classes in woodworking design. It remains for the instructor to point out the manner in which this material may be used. For illustration, many beginning students are slow in appreciation of possible modifications in structure or decoration. Circular tops may be used instead of square or octagonal, and vice versa. Modification of the manner of filling side spaces with slats offers variety in initiative. Vertical posts may be made tapering and vice versa. Rails and stretchers may be variously employed. There is almost always a choice in the matter of joints,—keyed or thru or blind tenon.